I have been almost bursting with excitement since December when I signed a new book deal. 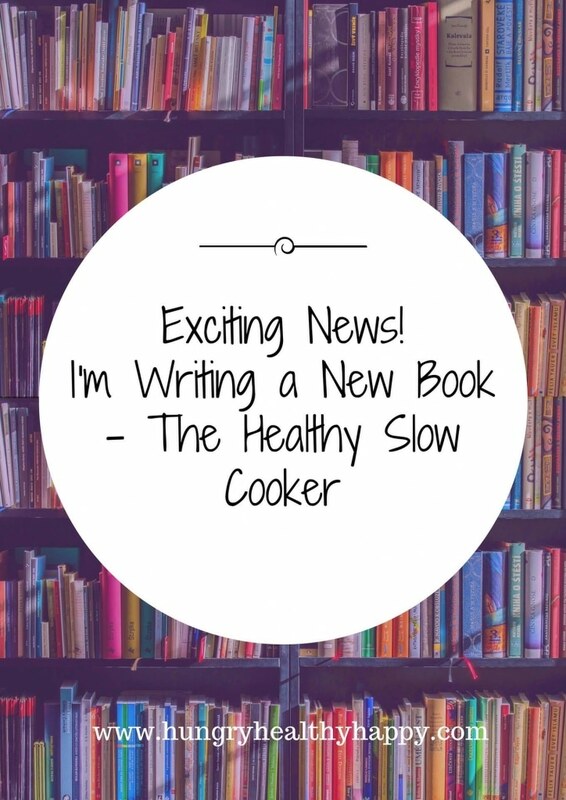 Now, I can finally announce that I have a new book coming out and it will be filled with Healthy Slow Cooker recipes. Thank you so, so much to everyone that bought my first book, Hungry Healthy Happy. It is because of that support that this book is possible. If you haven’t bought my first book, then head over to Amazon or any good book store and order a copy. The Hungry Healthy Happy book focuses on healthier versions of your favourite comfort foods – burgers, desserts, curries… you name it! Do you want to be kept up to date on more delicious recipes like these Moroccan Chicken Flatbreads? Please subscribe to the blog mailing list (it takes 30 seconds). You will get sent the new recipes straight to your inbox. Your email address won’t be passed on to anyone and you will never be spammed. 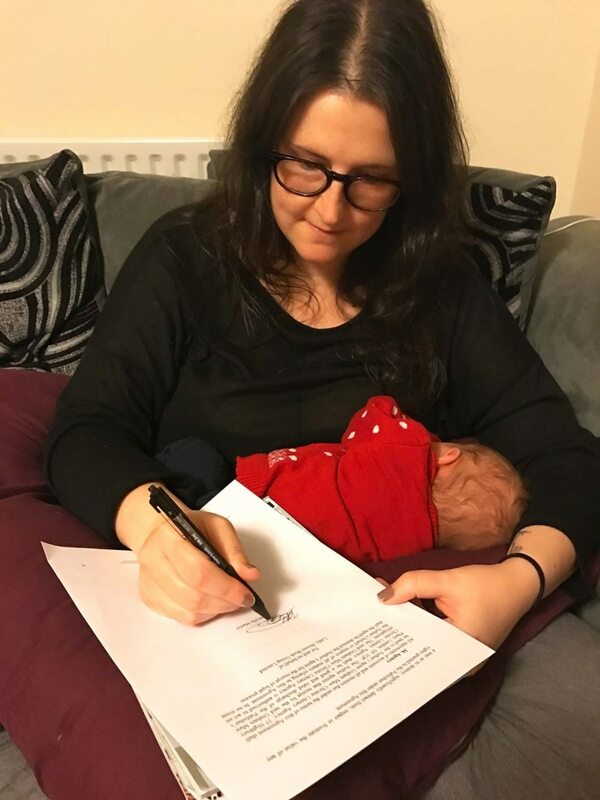 Breastfeeding a 4 week old and signing a book contract. Multitasking! Speaking of comfort food, the slow cooker is all about comfort foods and my new book, The Healthy Slow Cooker, will give you lots of comforting recipes, but all with healthier swaps, hidden veggies and lighter options. There will be lots of vegetarian recipes in there, but easy ways to adapt them too. I can’t say too much, because I don’t want to spoil the surprise, but some of the recipes you can except to see in the new book include: Chicken Fajitas, Carrot Cake Porridge, Chipotle Pulled Chicken Burgers, Garlic Fries, Baked Beans, Butternut Squash Macaroni, Honey and Mustard Sweet Potato Mash, Mushroom Bolognese and SO much more. 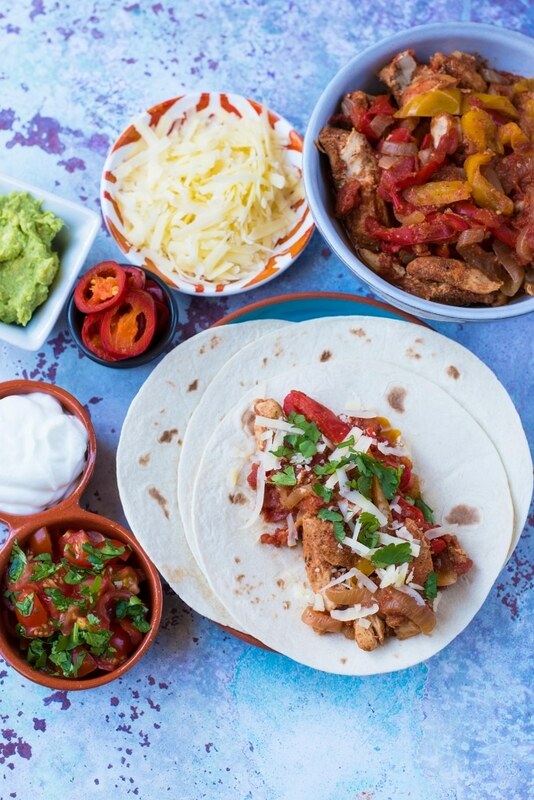 All cooked in your slow cooker! This book is aimed at people that have never used their slow cooker before to people that use it everyday and just want some new inspirations or healthier versions of their favourite dishes. My slow cooker has been an absolute life saver since Avery was born. It has saved me so much time in the kitchen. One of the biggest reasons for not having a healthy diet is time and this book will give you over 100 healthy recipes that won’t have you spending much time in the kitchen at all. Just put the slow cooker on in the morning and dinner is ready a few hours later. Or, put it on before bed and wake up to a cooked breakfast. There are recipes to suit all diets. Whether you have two, four, six or eight hours to have your slow cooker bubbling away, you’ll find a recipe. I will be posting more about the book soon, including a behind the scenes post on the book being made. But, for now, I just wanted to share the exciting news with you. 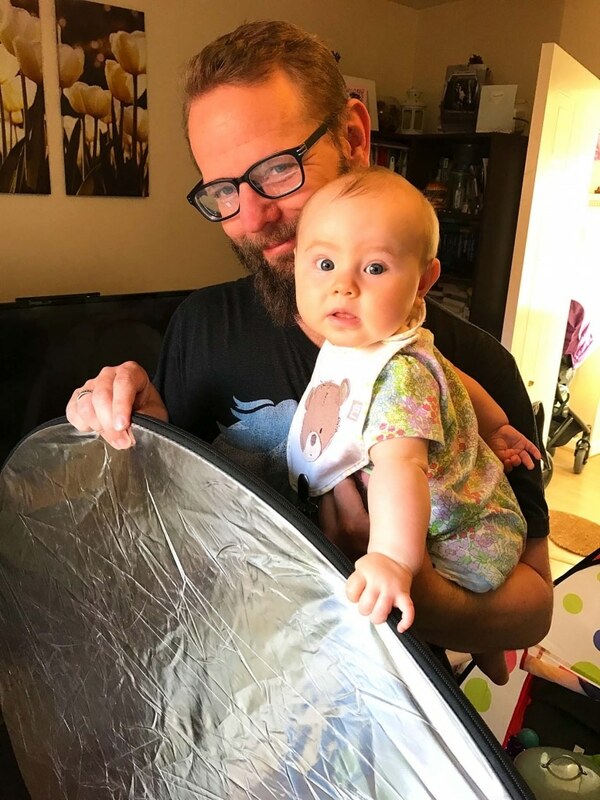 This book has been a joint effort between myself, Dave and Avery – they have been my photography assistants, as every recipe photo in the new book will have been taken by me. More on that in the next post! The Healthy Slow Cooker book, published by Little Brown Book, is coming Autumn 2018. Watch this space! 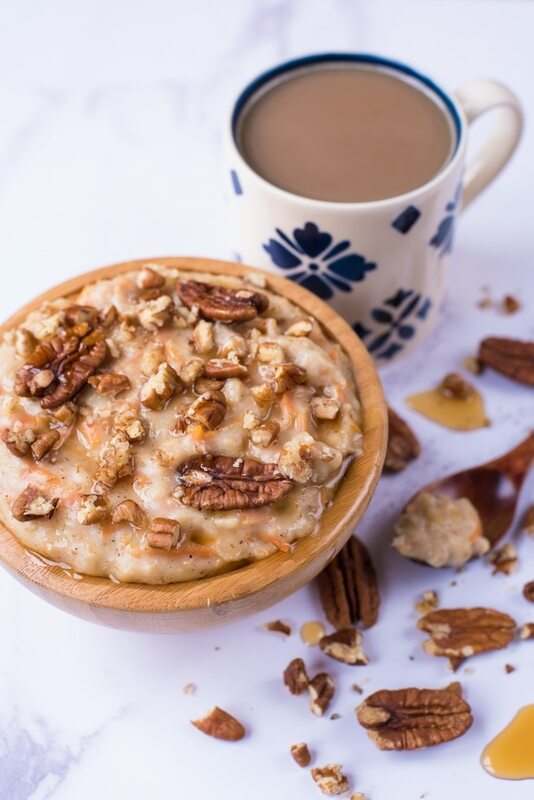 You can find me on Facebook at Hungry Healthy Happy, on Instagram at @hungryhealthyhappy, on Twitter at @HHH_Dannii or on Pinterest at hhhdannii. You can also subscribe via email. I absolutely love my slow cooker! It was such a life saver when I had my son but still needed to get dinner ready for the night. Just throwing something together into the slow cooker and letting it cook for the day was amazing! I am always looking for new recipes for it, can’t wait to get your book! Thanks for sharing!! Congratulations on your book. This is something that I would like to do someday with DIY projects! Best of luck with the book and the baby.